USA: DreamWorks Animation boss gives 3D TV the big thumbs-up, but are we willing to pay more for it? | What Hi-Fi? USA: DreamWorks Animation boss gives 3D TV the big thumbs-up, but are we willing to pay more for it? 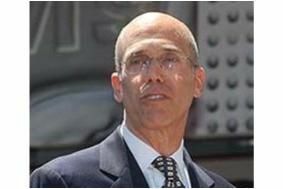 Speaking at the 3D Entertainment Summit, which has just wrapped up in Los Angeles, Katzenberg said that while "it will be a number of years before you get to deep penetration, we still will see a robust market that will begin to emerge in 2010. His comments come on the heels of the Blu-ray Disc Association's announcement that it will complete a standard specification for 3D HD discs and hardware by the end of this year, and plans by Panasonic and Sony, among others, to launch home-use 3D Blu-ray players and TVs in 2010. And industry research revealed at the event suggests that while just 2m 3D-capable TVs will be sold worldwide next year, that number will rise to 6m in 2012, and around 12m in 2013. And one prediction suggests that 10% of US homes will be 3D-ready by the end of next year, and a staggering 45% by 2014. How much is 3D worth to you? However, it remains to be seen whether consumers will pay the higher prices 3D-capable players and TVs, and of course 3D Blu-ray discs, are likely to carry. Research carried out in the States suggests the majority of consumers wanted to pay less than $200 (less than £125) extra for a 3D TV. A third thought 3D was only worth a $50 premium, or about £30, on the price of a TV. A quarter wouldn't pay any extra. The same research also paints a gloomy picture for those studios hoping to command premium prices for 3D Blu-ray disc releases, even though Blu-ray player owners were more interested in upgrading to 3D than those currently only having standard-definition systems. In the survey, 61% of all respondents said they'd pay no more than a couple of dollars extra for a 3D version, while a third wouldn't pay any premium. But the consumer electronics companies remain bullish, with Panasonic America's Eisuke Tsuyuzaki saying the expectation is that significant numbers of 3D movie-goers will want to repeat the experience at home. Meanwhile Pioneer's Andy Parsons expects that 3D capability will rapidly become a standard feature on all Blu-ray players. But even among the strongest advocates of 3D at home there remains some sense of proportion: Chris Fawcett of Sony America told the conference that “I think Blu-ray is actually the killer app for HD television. Why? Because even if the whole world goes 3D, existing owners of BD players and HD TVs will be able to upgrade, should they wish, at their own pace.